Every roof work is a big investment. You need to take every task and area seriously. That includes hiring the best person for the job. Look for proper documents. A reliable roofing company must be licensed and insured. In many states in the U.S., it’s illegal for a contractor to work without a license or permit. This protects both the customer and the company from property damage and other liabilities. Prioritize this when looking for a good roofing contractor. Ask for references. Tangible references serve as proofs of a contractor’s expertise. The company should be comfortable in showing their finished projects. Additionally, references give you an insight of what you can expect from a contractor. This will also give you a chance to ask what the homeowner honestly thinks of the contractor. Check their experience. Check the roofer’s industry experience. How long has the contractor been in business? Do they have enough knowledge and understanding of the craft? Passion and commitment matters; you don’t want to hire someone who’s simply “doing their job”. You want someone fully dedicated to the business and service. Consider how they communicate. Communication is essential in every work. It’s not just about experience, skill, and passion. A good roofing contractor knows how to communicate. This will help both parties gear toward the same goal. Additionally, proper communication helps homeowners and contractors settle any differences peacefully. Test their knowledge. Ask for advice. What do they say about the most suitable roof replacement for your home? Take the time to research on your own and ask them what they think of several roof materials. The key is finding out the extent of their knowledge and skill. Are they fully equipped and trained for the job? Keep these five tips handy to hire one of the best roofing contractors in Northern Virginia. If you need help in your roof replacement, consult Peak Roofing Contractors. We are a fully licensed and insured roofing company that puts the needs of homeowners first. 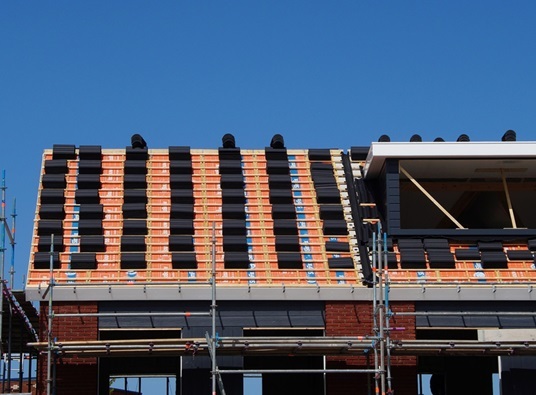 We provide quality roof replacement services for both residential and commercial properties. We install different kinds of roofs – asphalt shingles, metal, wood shakes, tile, and slate. For more information, give us a call at (703) 745-5153 today. We would love to hear from you!